Open “Snow Beach” and if you followed snowboarding during the late 80s through the mid-90s, you’ll immediately recognize the iconic imagery and personalities of the time: Jeff Brushie’s 1992 method in a giant slalom course, Jamie Lynn’s 1994 Norwegian road gap, Ingemar Backmann going huge at the Riksgränsen quarterpipe circa 96. There’s Salasnek ripping his skate-trucks-adorned Sims pro model. Palmer with his bright-red clown-hair skullet. 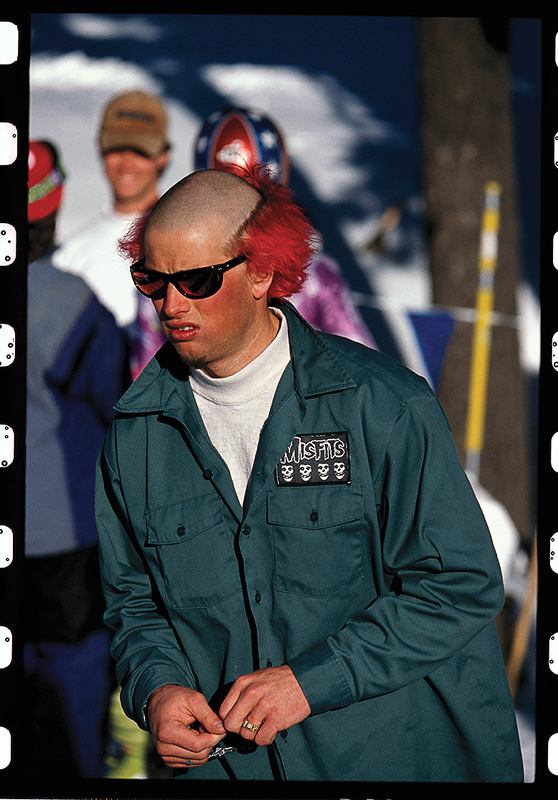 Craig Kelly riding Hole-In-The-Wall outside of Fernie, BC, then hanging with Beastie Boy Adam Yauch slopeside. Above Mike Ranquet, 1996. Photo: Sean Sullivan. Digging deeper, past the Chris Carnel cover shot of John Cardiel tweaking a frontside air with his hat flipped backwards, and you might wonder why no one’s done this before—the book seems an essential catalog of snowboard culture in the years where it found its identity. Alex Dymond wonders the same. Dymond himself is a NYC-born-and-based creative director who is fully embedded in the street fashion scene. Google his name and you’ll see entries from GQ, Hypebeast and the like. He came up skating and snowboarding. He’s done work in the snowboard industry too, and this, his first book project, grew out of the Burton Heritage line he designed from 2010-2013. During that time, he worked closely with the company’s archivist Todd Kohlman, and spent plenty of time combing through historical imagery for inspiration. He and Kohlman batted the photobook idea back and forth, but ultimately Dymond took the project on himself. Getting the imagery proved to be a labor-intensive task. 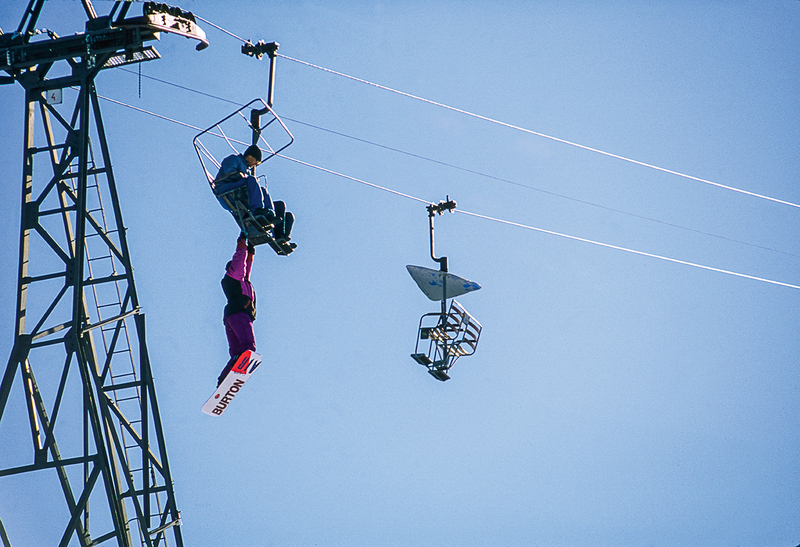 Above Craig Kelly, 1992. Photo: Rod Walker. The list of photographers who were willing to contribute is impressive: the work of Bud Fawcett, Jon Foster, Trevor Graves and Vianney Tisseau is heavily featured, among most of the other standout photographers of the time. It’s the quintessential imagery of an era from those icons behind the lens that captured and interpreted the new wave of freestyle snowboarding. They appreciated that Dymond did the project as a labor of love with little regard to financial compensation (what money he does make will be split amongst the photographers). Same goes for Jesse Huffman and Pat Bridges who added their words for the front of the book. 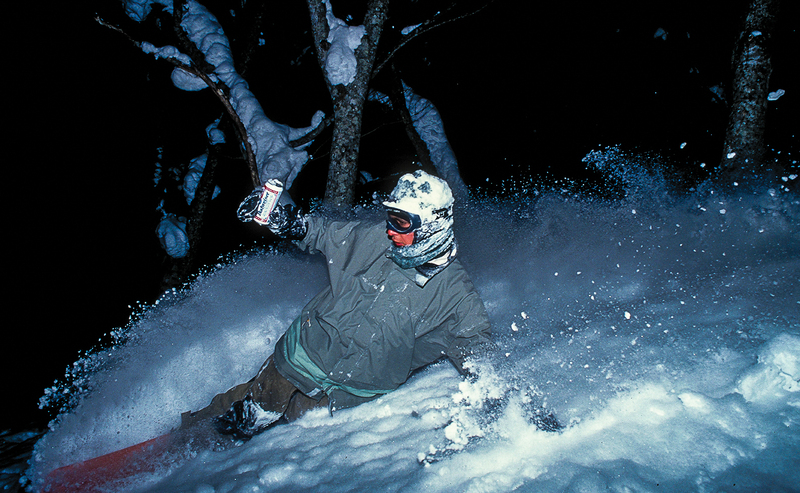 Move past those two pages of reminiscing, and you’re met with a full-bleed focus on the era of snowboarding responsible, in part, for a pop-cultural shift. 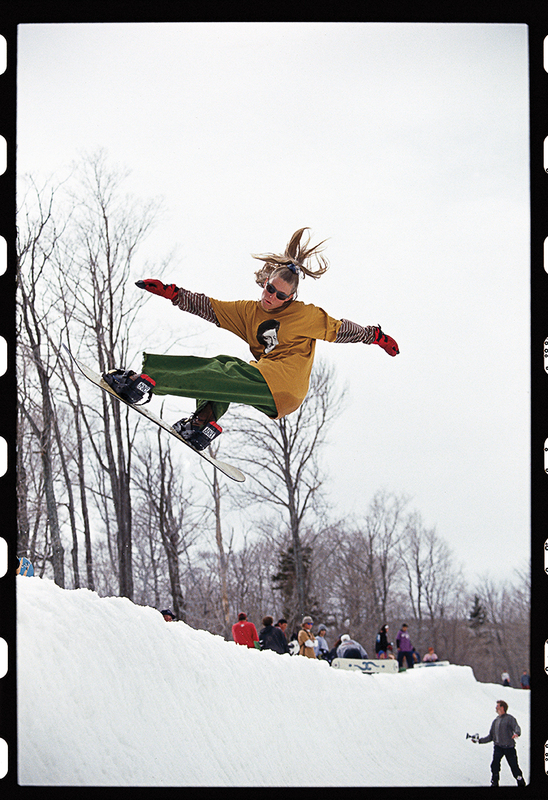 It’s a stylistic interpretation of the roots of snowboard culture—a catalog of an era that defined style in snowboarding. Above Janna Meyen, 1993. Photo: Jon Foster. Snow Beach is a 176-page, hardbound, 9” x 11” coffee table book published by powerhouse Books and available here for $23.91.